Landscape lighting accentuates your outdoor living spaces and shows off your garden and other landscape features at night. It can enhance the appearance of your North Texas area home while also making it safer for you to walk around outside when it’s dark out. 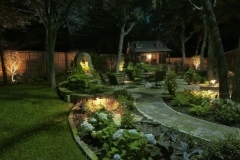 At Landscape by Design, we provide high-quality landscape lighting services for homeowners in Fort Worth and the surrounding area. 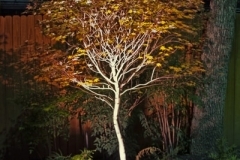 Landscape lighting can be both decorative and practical. These lights can highlight certain features of your yard landscaping, lower your risk of falling while walking around at night, and deter intruders. When you have landscape lights, you’ll also be able to sit outside in the evening or at night. 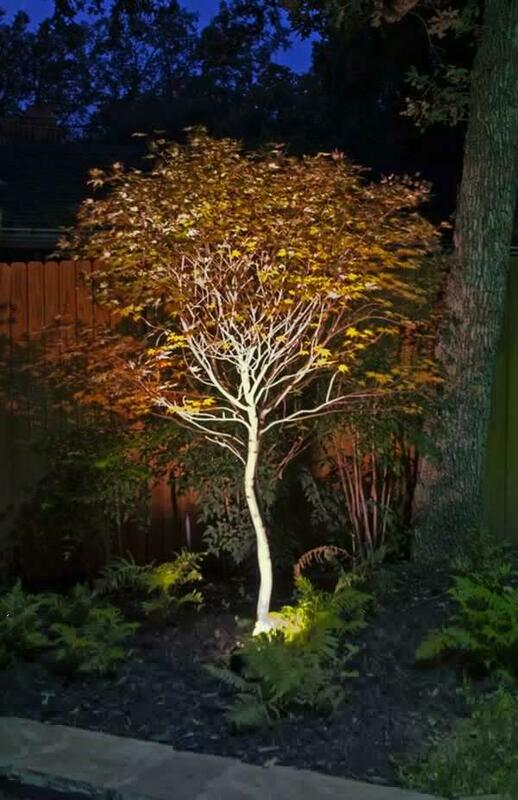 Whether you want to enjoy a quiet evening in your yard or entertain guests for nighttime summer gatherings and other parties, landscape lights make this possible. At Landscape by Design, our landscape lighting experts have the right knowledge to make sure that you end up with the perfect lights for your yard. When you start looking into outdoor lighting for your North Texas home, you’ll find that there are several different styles and systems to choose from. Selecting the right ones for your yard can seem like an overwhelming task, but the professionals at Landscape by Design are here to help. With guidance from an outdoor lighting designer, you’ll find that it’s much easier to narrow down your lighting options and choose the best one for your property. Having help from an outdoor lighting designer in the Fort Worth area helps to ensure you choose lighting that best suits your home. Our designer can help you navigate the many options that are available for landscape lighting systems, fixtures, and other components. 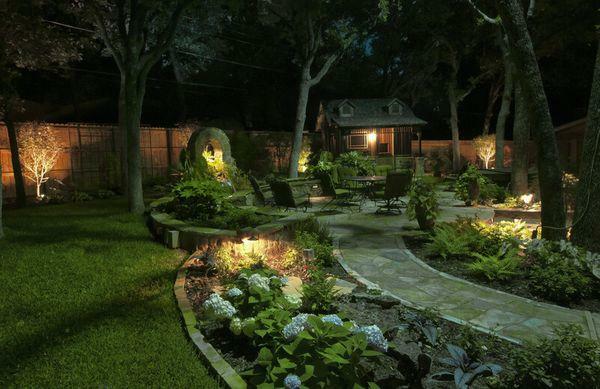 With this kind of help, you’ll end up with outdoor lighting that makes your North Texas landscaping even more beautiful. Outdoor light fixtures come in many varieties, ranging from functional fixtures to ornamental ones. You’ll also find fixtures that serve different purposes, such as highlighting paths, illuminating trees, and drawing attention to decorative retaining walls. From floodlights to well lights, we can explain these different kinds of lights to you and help you pick out the ones your property needs. Some lighting fixtures for landscaping have more aesthetic appeal, while others are designed to be more practical or functional in appearance. Whether you need hardscape lights for walls, path lights for walkways, or spotlights for trees and architectural features, you can depend on the experts at Landscape by Design for help. We’ll make sure that you have outdoor fixtures that provide your yard with the lighting it needs. Exterior lighting for your home in Tarrant County can do more than make your house look its best. These lights can also add more safety to your home and property overall. Outdoor lighting for homes helps keep intruders away and reduces the risk of falling or tripping while you’re walking on paths or through your yard at night. Contact the lighting experts at Landscape by Design, and we’ll help you choose the perfect exterior lighting for your home.